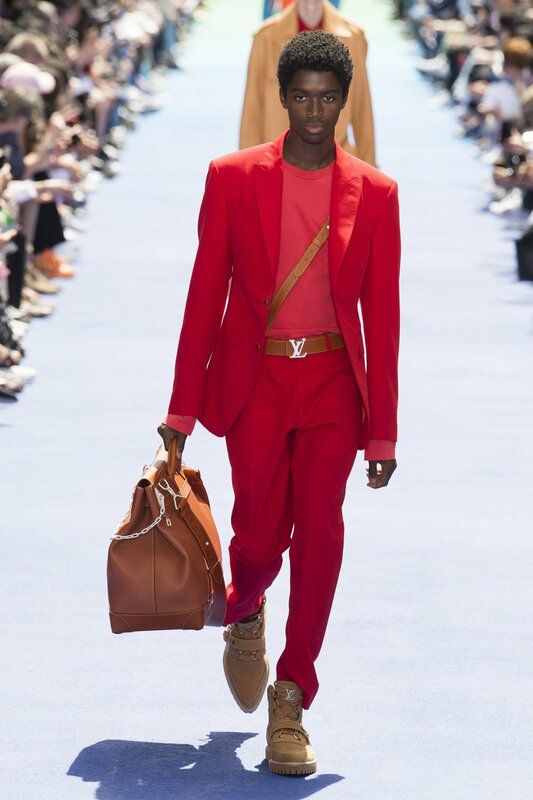 With Louis Vuitton Don Virgil Abloh setting it. This week, we, Black creatives, continue to assert ourselves in predominantly White spaces with Virgil Abloh making space for us to do so. 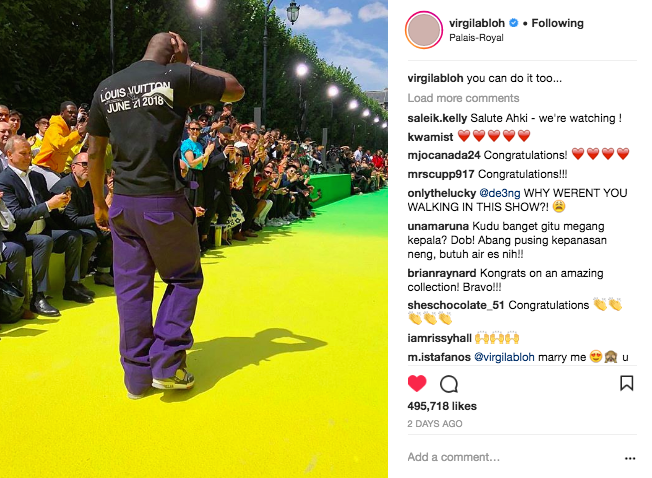 On this past Thursday, Virgil Abloh showed his first collection as artistic director for Louis Vuitton’s Spring/Summer 2019 menswear line at the Palais-Royal Garden in Paris, France. Abloh’s much-anticipated debut collection with the luxury brand, entitled “We are the World,” did not disappoint. 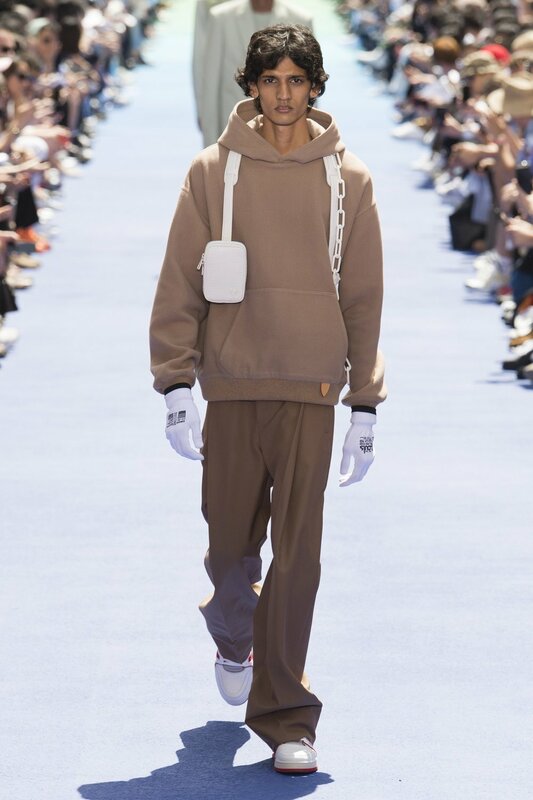 With a vast cast of models of color – including popular musicians like Kid Cudi and Dev Hynes, design students in the audience, and the presence of the designer’s signature street style in the collection, Abloh is changing the notion of luxury and making it more inclusive and more relatable to the younger generations. 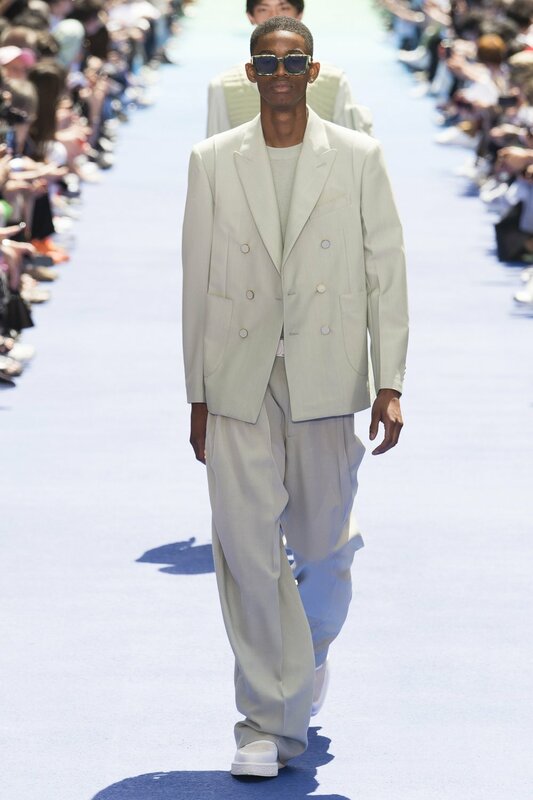 According to WWD, Abloh’s inspiration for his first LVMH collection stemmed from the concept of Off-White, Abloh’s independent streetwear brand (launched in 2013), the rainbow of colors that result when white light hits a prism, and “The Wizard of Oz.” The show began with garments in white and off-white, moving into more neutral greens and browns, to accents of bright color – hinting the concept of the rainbow – and closing the show with psychedelic “Wizard of Oz” themed prints. 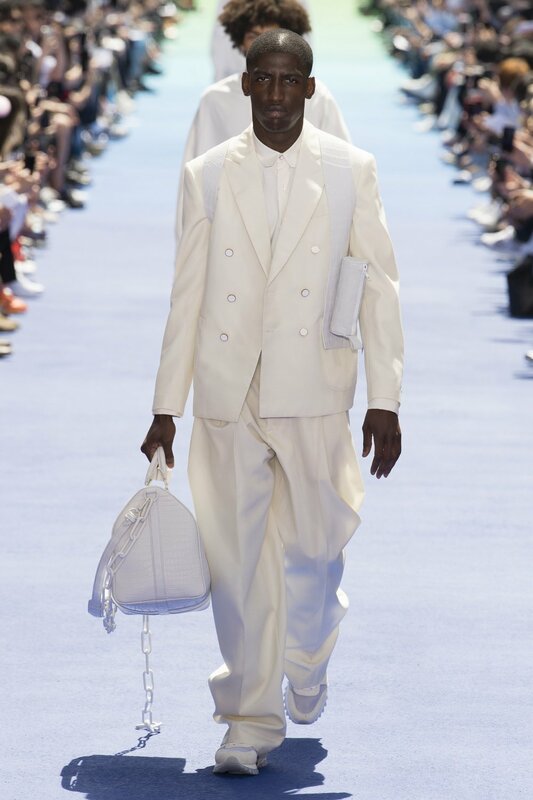 When Abloh was first appointed as artistic director of Louis Vuitton’s menswear collection in March, Abloh told the New York Times his main muse iswhat people actually wear. Thus, this collection seems to have been created with that in mind. The collection is structured yet still street: pantsuits mixed with hoodies, denim, t-shirts, sneakers and cool, travel-ready prismatic duffel bags. 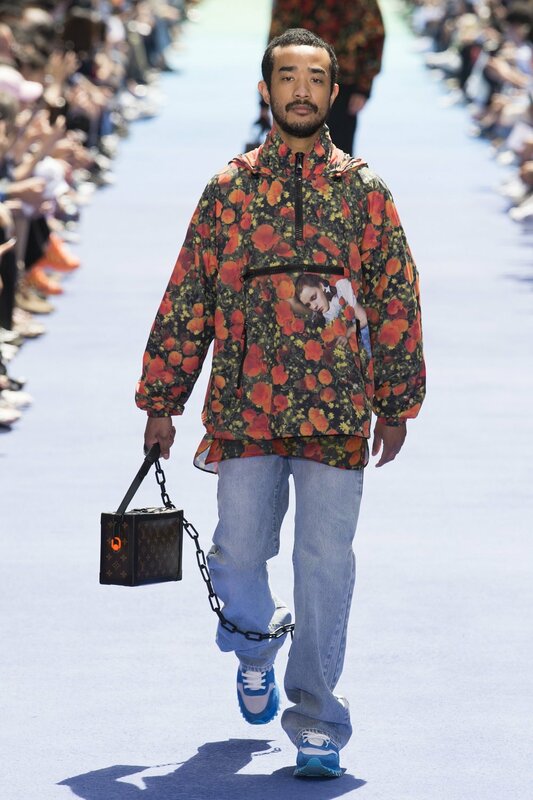 Considering Louis Vuitton is known for its luxury luggage, travel is another theme that Abloh incorporated into the show. Reported on Vogue, the program also brought attention to the identities of the models, what they do and showed on a map where each model was from. This idea further highlights Abloh’s intention of bringing diversity into the show and making it a part of the brand as well. 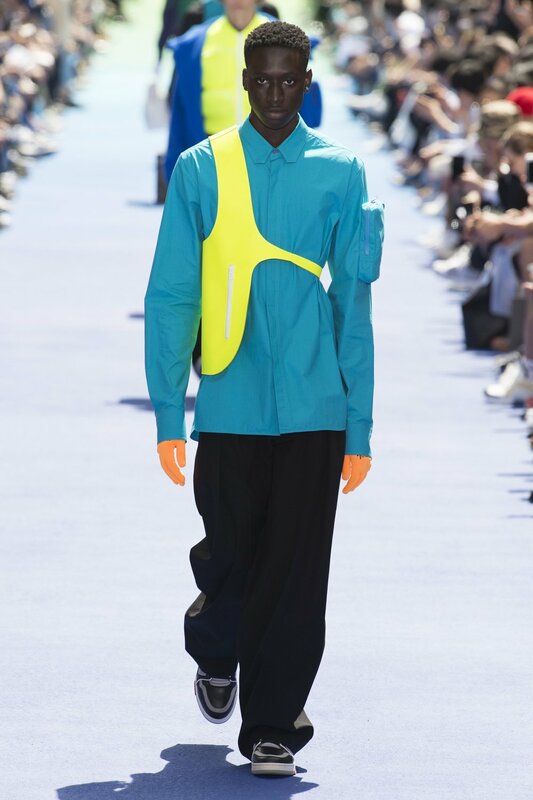 Yet, the biggest takeaway – aside from the details within Abloh’s show and the “Wizard of Oz” theme – is that he wants to inspire young people, especially young creatives of color, to pursue their dreams. His Instagram post of himself on his rainbow runway with a caption reading, ‘you can do it too…” makes it evident. He has made it to the top and is making space for us. In his debut collection, Abloh gave Black people and Black culture a seat at the luxury fashion table. We cannot wait to see what he’ll do next.